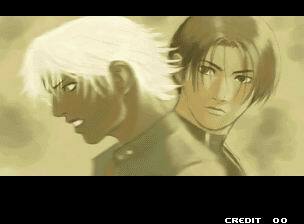 STORY: After the incident at the previous tournament, the commander of the Ikari Team, Heidern, is determined to figure out the objective of the NESTS cartel so that he can stop them from achieving their ruthless ambition. 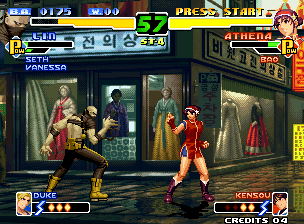 A fellow commander and long-time friend of Heidern, named Ling, tells the veteran fighter that K' and Maxima were once operatives of NESTS and that they may hold the key to locating the whereabouts of the mysterious organization. 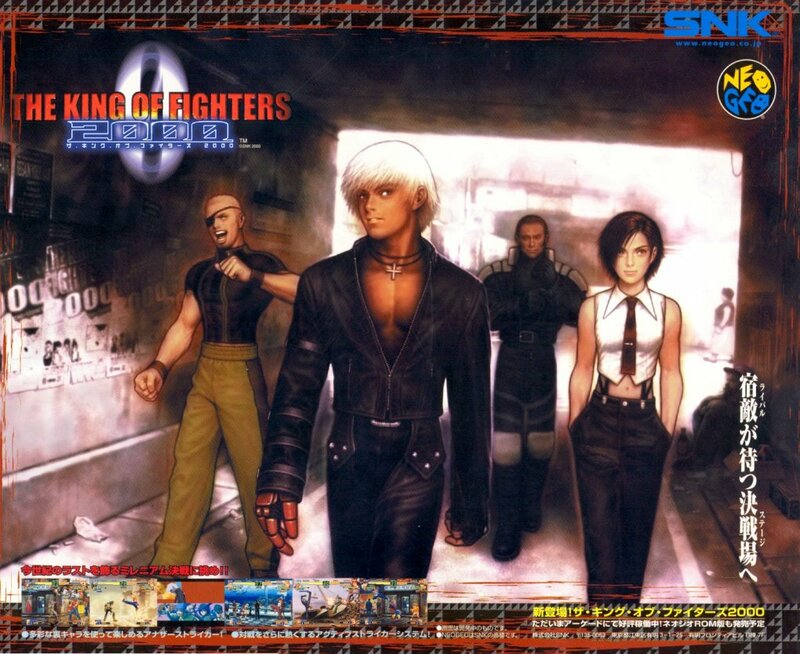 Using this information, Heidern decides to focus his efforts in using the next KOF tournament as a way to lure both K' and Maxima out so that they can be captured and interrogated into telling the authorities about the NESTS cartel. 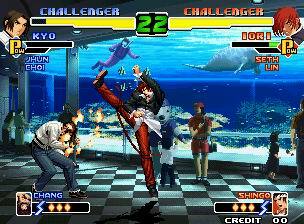 Unknown to Heidern however, Ling has his own agenda. 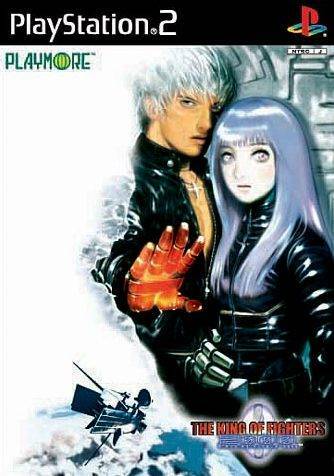 Though missing a few faces... 2K has a great selection. 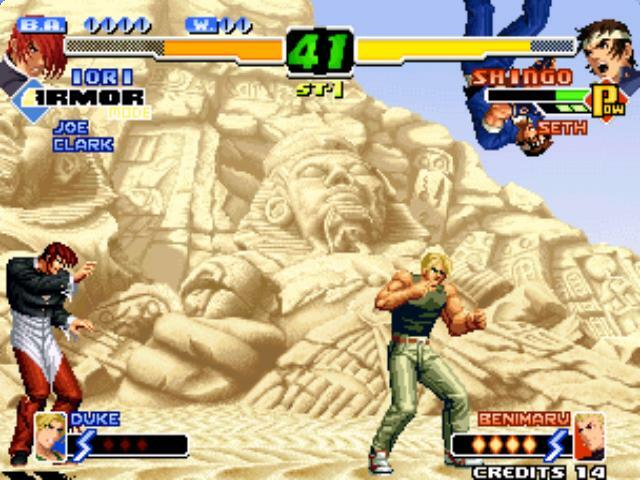 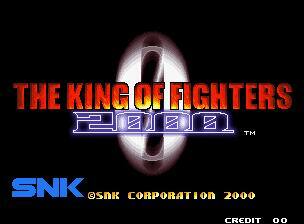 REVIEW: King of Fighters 2000 is the seventh game in SNK's long-running series. 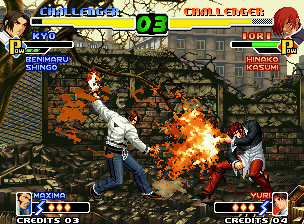 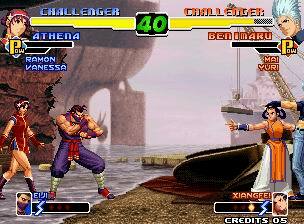 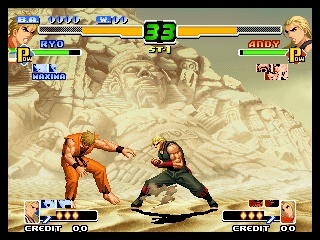 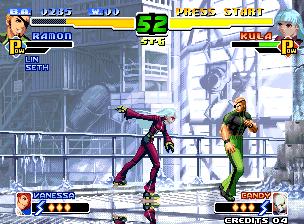 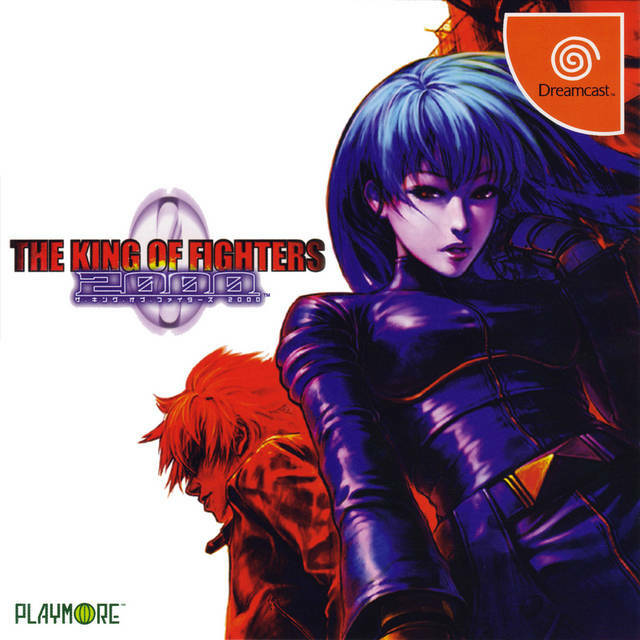 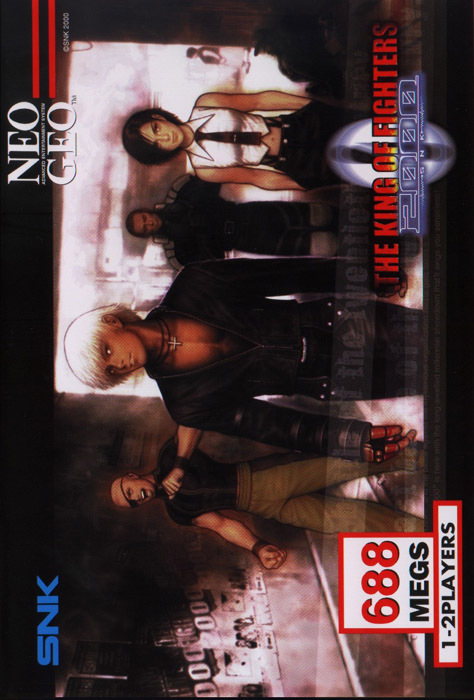 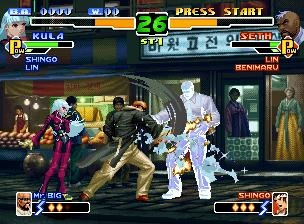 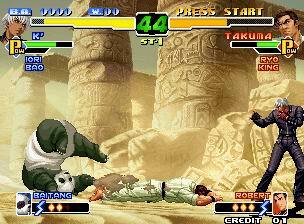 The 2000 edition's gameplay engine builds upon the striker system introduced in KOF '99. 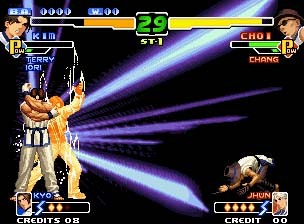 The game now features an Active Striker System, allowing players to summon the Striker member at any time during gameplay (even when jumping or knocked down). 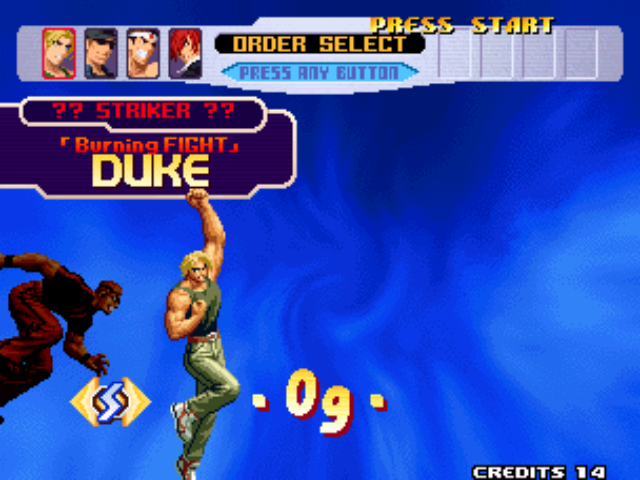 Strikers are most effectively used in the midst of combos for longer and more damaging combos! After players chose their 3 team members from a selection of SNK icons (and some newcomers), they then pick their fourth team member (striker). 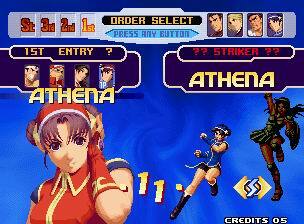 This time, players can either choose to use the default fourth character they selected or an alternate character known as "Another Striker"... whom is used exclusively for assist attacks. 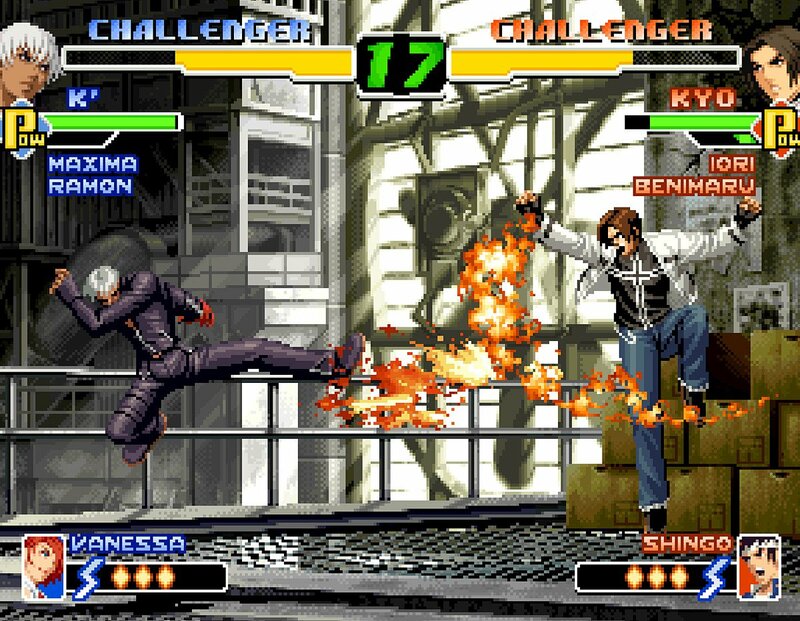 A wide variety of SNK characters spanning many different franchises make their debuts as KOF strikers, and there's one per each selectable fighter in the game! 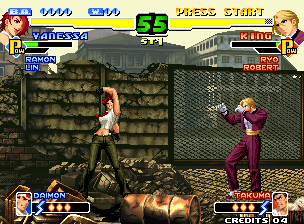 The alternate strikers range from veteran KOF characters like Geese Howard, to Samurai Shodown's Nakoruru, or even Fio from Metal Slug... and there are even some secret "Maniac strikers" hidden in the game. 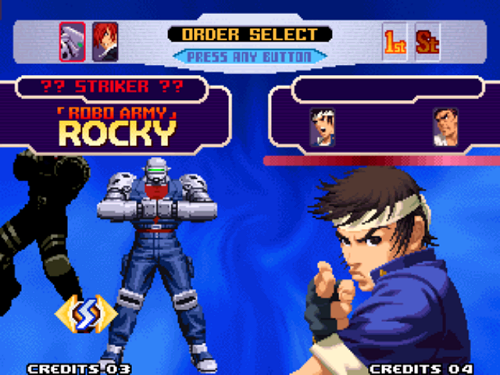 Rocky from SNK's obscure beat-em-up, Robo Army, makes an appearance! 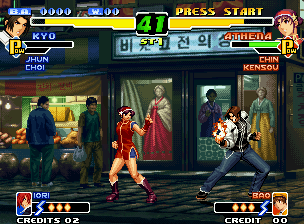 The gameplay of KOF 2000 is as solid as you'd expect from the series, with the striker system enhancing and speeding up KOF's traditional 2D gameplay. 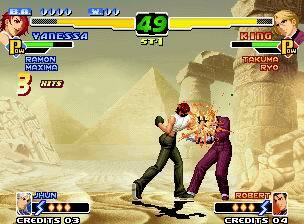 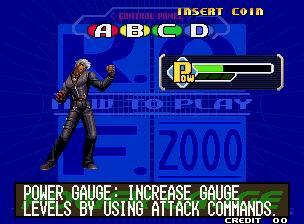 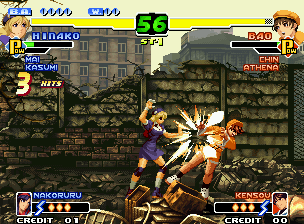 The "Emergency Evasive Action" from King Of Fighters '98 also marks it's return in KOF 2000. 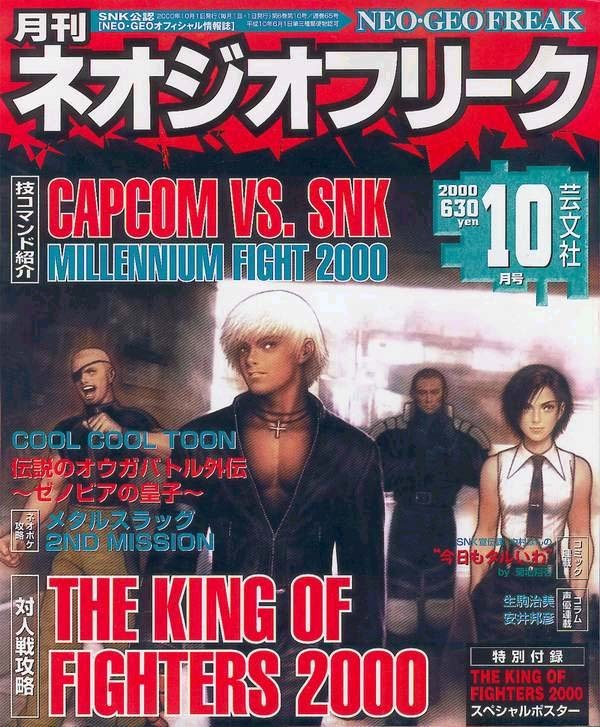 Graphically, KOF 2000 isn't anything groundbreaking, but is one of the best looking KOF titles to date. 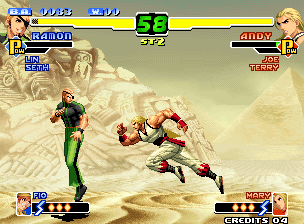 Some characters sprites are certainly beginning to look aged, but there are a great selection of new 2D sprites & characters to remind you you're playing a new KOF game. 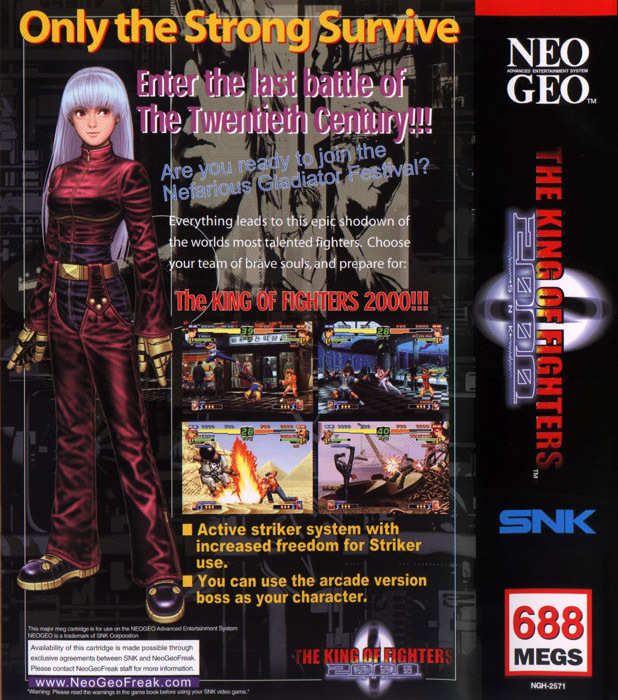 For some reason or another, KOF 2000 is one of my favorites of the entire series to play.... Why? 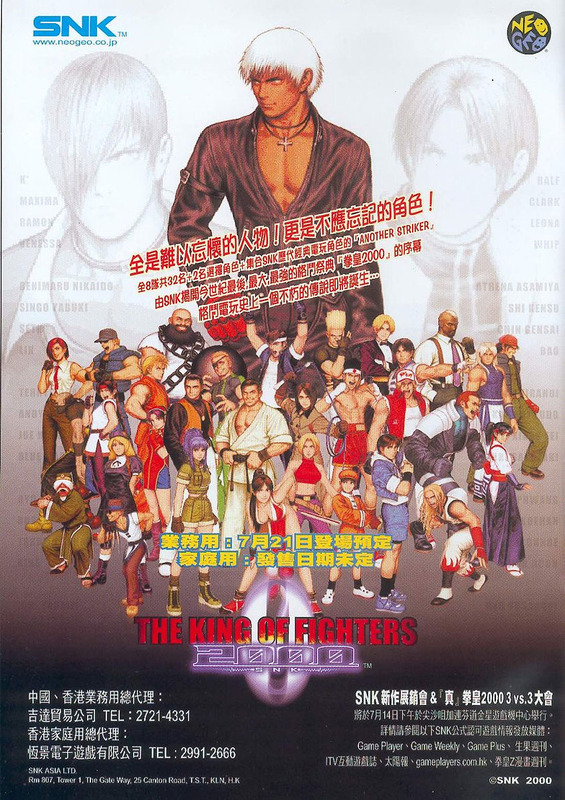 Awesome character roster, tons of cameos & throwbacks, memorable music & stages, and the Active Striker system makes KOF's classic gameplay engine flashier and more fun. 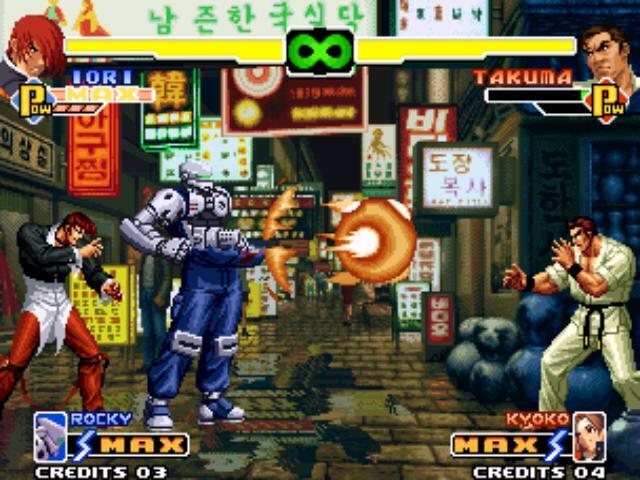 With the vast number of strikers, there are tons of combo possibilities, gimmicks and strategies, offering a unique type of gameplay experience. 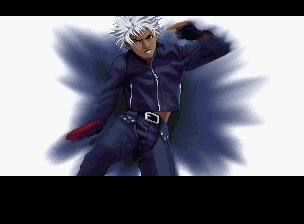 Click here for all alt. 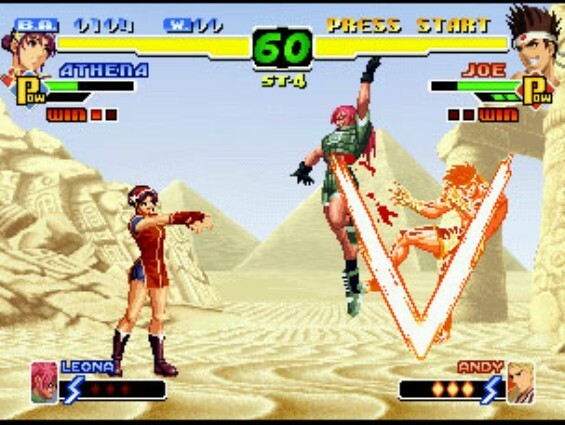 strikers!